Coolbeg is a beautiful lodge situated on the N69 Coast Road just 12km from Limerick City and 9km from Adare Village. Bars and restaurants are close by. 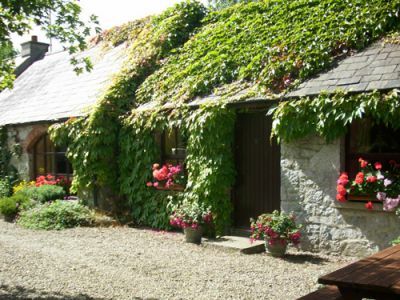 Coolbeg Lodge is an ideal location for touring Limerick, Clare and Kerry. To give you a flavour of the area, you have the famous Ballybunion Golf Course to the west, further south you enter the Kingdom Of Kerry, with Tralee, Killarney and Dingle to visit. North into Clare crossing by Tarbert Ferry, you have Bunratty Castle and Folk Park, the Cliffs of Moher and the Burren. The Shannon Estuary has many amenities, sailing, deep sea fishing, diving, dolphin watching and horse riding. There is horse racing just 7km away at Limerick Racecourse in Patrickswell and Thomond Park, home of Munster Rugby is just 12 km drive ito Limericks City. Drive towards Limerick.The most direct route for Kildimo is to go through the tunnel. On exiting the tunnel take the first exit on the left,follow signs for Listowel /Foynes (N69). Kildimo is approx 10 km from here.Go through Kildimo village & Coolbeg Lodge is the second house on the left. Continue on the motorway until you see signs for the tunnel.You will not be taking the tunnel. Take the road to Limerick until you reach Adare. At the roundabout take the first exit. Follow the Road for 9Km to reach Kildimo. Go through Kildimo village & Coolbeg Lodge is the second house on the left. There are 2 routes you can take. Follow the usual route sign posted for Limerick untill you reach Adare. At the roundabout take the first exit. Follow the Road for 9Km to reach Kildimo.Go through Kildimo village & Coolbeg Lodge is the second house on the left. for a more scenic route take the N69 follow the signs for Listowel leaving Tralee. in Listowel follow signs for Tarbert. At Tarbert follow the signs for Limerick (the N69 Coast Road) untill you reach Kildimo. Go through Kildimo village & Coolbeg Lodge is the second house on the left.